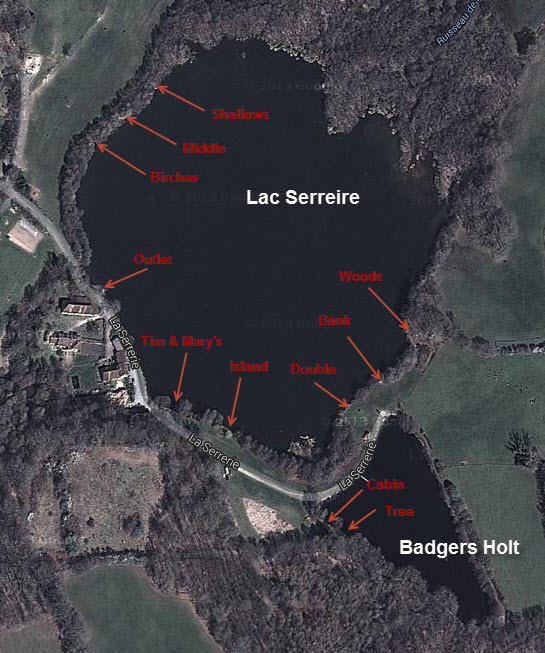 We allow a maximum of 6 anglers on Lac Serreire and 2 anglers on Badgers Holt and we aim to provide a non-crowded fishing environment with plenty of space per angler. On Lac Serriere, there are more swims than anglers, so there is always the option to move in the case that the fish are showing in a different area during the week. We also provide help to all anglers with getting their gear to each swim.